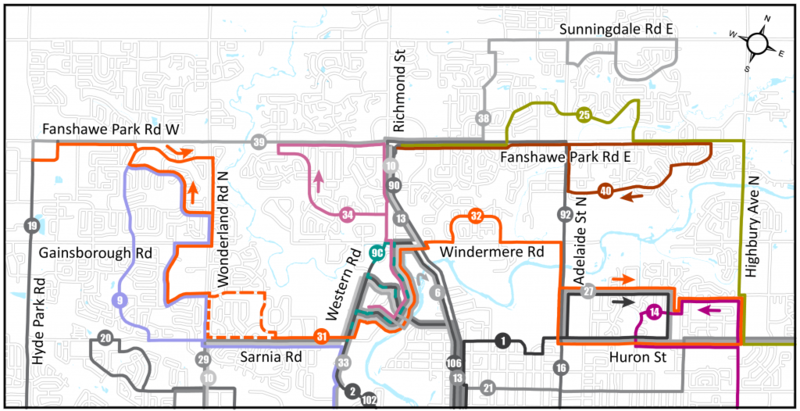 Significant routing modifications are proposed for the area along Sarnia Rd., Huron St. and subdivisions in the North. All the modifications are dependent on each other. They are intended to introduce service to new areas, provide more direct/efficient service and better match service with demand. 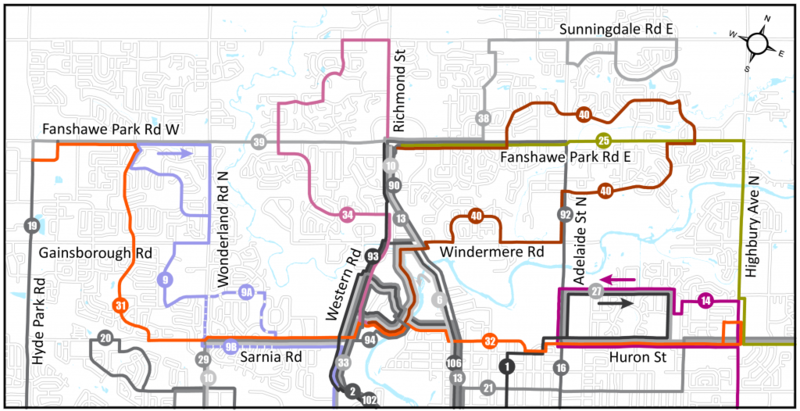 To reduce confusion, the north-end changes have been separated into 3 parts.